Activity Professionals: FREE Subscription to book programs. Service Providers: FREE and Pro Subscriptions to list your programs. Entertainers for Seniors is a FREE site for Activity Professionals at Senior Living Communities to assist them in planning and booking activities. With their demanding schedules and frequent deadlines these professionals need a single source to identify, research and book service providers experienced in providing services to seniors. If you are registering as an Activity Professional, Welcome! If you are registering as a Service Provider, please be sensitive to the limited budgets within which activity professionals must operate. The fees you quote on this site for your services should be discounted from those you may offer to other venues and clients. Please consider part of your compensation to be the joy you will experience providing services to senior citizens who labored for decades to create the economy from which you now derive your income. Many also volunteered to protect the freedoms you enjoy here in the United States. Thank you for making this site a valuable resource for everyone who provides services to seniors. 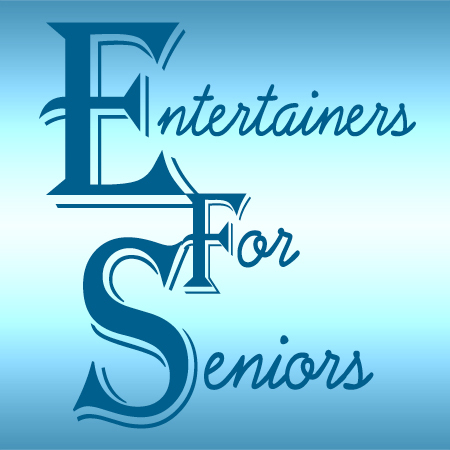 Thank you for subscribing to the Entertainers for Seniors Website. If you have not previously subscribed, you will be taken to the Membership Levels page where you can select either Free or Paid subscriptions. Designed for Activities Directors of Senior Living Communities, this site is a an online booking tool and directory of professional entertainers who have experience performing shows that appeal to Seniors. Copyright © 2018 SeaSound Entertaniment. All Rights Reserved. Entertainers for Seniors is a site developed for Activity Professionals at Senior Living Communities to assist them in planning and booking activities.